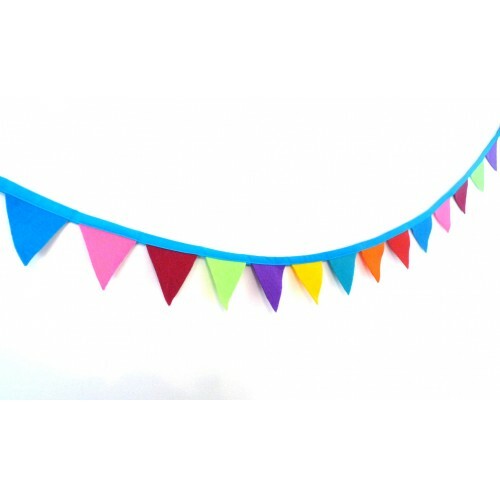 Bright, Bold and Colourful Mini Bunting. Each flag measures approximately 7cm. 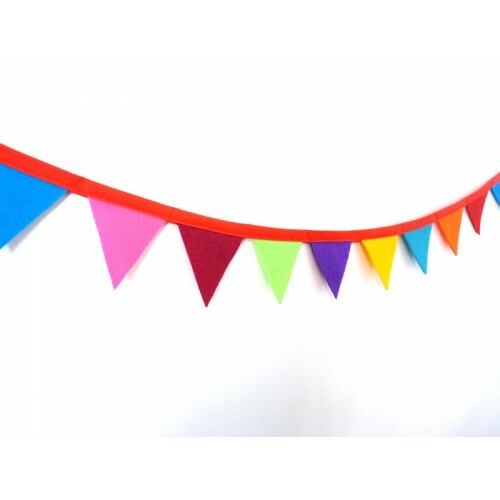 There are 18 bunting flags in total giving the felt bunting an overall length of 1.5m. 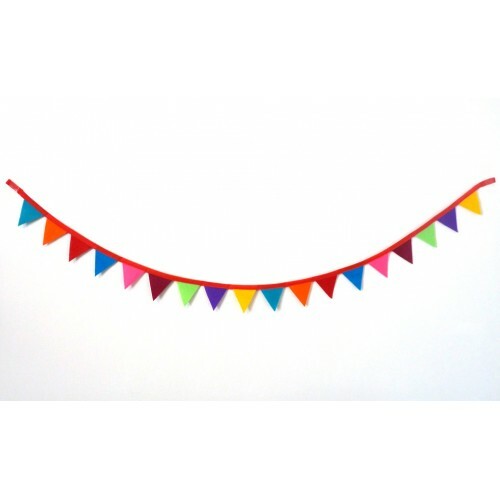 Ideal for hanging around a Cot, on Toy Boxes or on a Wall to instantly add a splash of colour. Made from acrylic wool mix felts and joined together with red or blue bias tape. 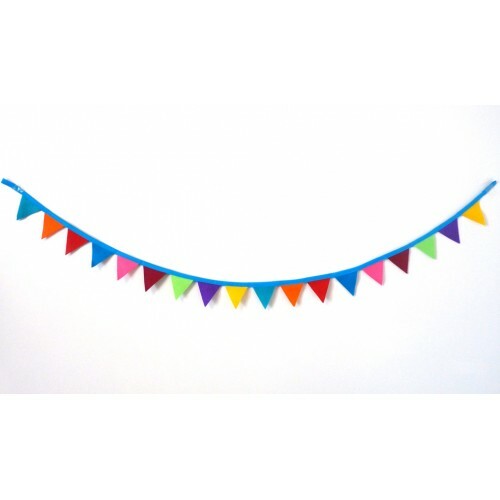 I have used of wide selection of colours including Yellow, Bright Orange, Blue, Pink, Purple and Green. I can personalise items and make them how you want them, contact me for more info. Check out my other Buntings here, you can see some of the other great fabrics I have available!